The Learn by Doing Scholar Awards recognize outstanding research on Cal Poly’s motto, Learn by Doing. Winning research not only applies this hands-on teaching method, but studies its effectiveness in real classrooms. Each year, a faculty committee representing every college and the library select two winners: one completed project, and one in-progress project. Submissions from diverse academic disciplines offer different interpretations of what it means to Learn by Doing, and provide evidence for its effectiveness across different fields of study. The awards serve two purposes: encouraging more research that intentionally puts Cal Poly’s motto into practice, and encouraging Cal Poly faculty to share their work with a broad audience. “This year’s Learn by Doing Awardees executed work that was possibly more exciting than ever. Not only did they provide compelling examples of scholarship on the pedagogy of learn by doing, but they applied their investigative acumen to two innovative and emerging practices in higher education: peer-to-peer learning and Digital Humanities,” said Brett Bodemer, Learn by Doing Award committee chair and College of Liberal Arts Librarian. 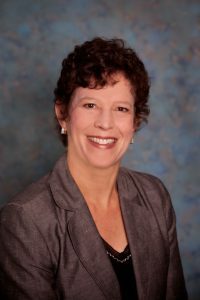 Metcalf received $2,000 in recognition of her completed research, “The Impact of Peer Mentoring on Marketing Content Mastery.” She collaborated with Orfalea College of Business faculty members Stern Neill, Lisa Simon, Sharon Dobson and Brennan Davis to design and test a student-mentor program. Top-performing seniors majoring in marketing management helped students in BUS 460: Principles of Marketing to apply lecture concepts to their final marketing projects. The study’s rigorous quantitative results showed students’ increased content mastery and higher positive perceptions of the class. The research is a valuable contribution to peer mentoring program literature, and the team’s published methodology guide is helping others to develop and improve hands-on peer mentoring programs. 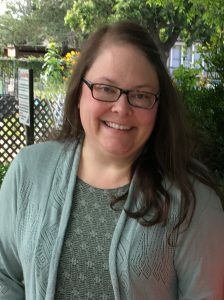 Waitinas received $1,000 for her in-progress research, “Flipping Whitman: Collaborative Learn by Doing in the (Digital) Humanities.” Her work explores how digital manuscripts give students unique historical insights into Walt Whitman’s writing and editing process. Students compared Whitman’s drafted manuscripts with his published poems to create original theses. Many of the library’s programs emphasize learning by hands-on experimentation, so that “the practices of peer-to-peer learning and Digital Humanities have a particular resonance for Kennedy Library,” said Bodemer. The library has developed innovative of peer-to-peer learning programs, with faculty making substantial research contributions and sharing ideas with other academic institutions. To help meet the increasing demand for graduates with highly-developed digital skills, Kennedy Library encourages students to experiment with Digital Humanities through interactive workshops ranging from data visualization to “programming for non-programmers.” These and other programs give students the freedom to discover, grow and share their ideas in a safe, welcoming environment. Join us in congratulating this year’s awardees, as we look forward to what new discoveries and innovations next year’s applicants will bring to light. Help us continue supporting outstanding faculty scholarship at Cal Poly. Read more on learn by doing and learn by doing scholar award.